Home craftholic Promotions These fluffy Craftholic slides are having a 1-FOR-1 for selected styles at a limited time only! These fluffy Craftholic slides are having a 1-FOR-1 for selected styles at a limited time only! CRAFTHOLIC is a series of characters that was started by Japanese designer Ikuko Yamamoto in 2008. These huggable and stylish plush have gotten really popular in Singapore for their soft like fur that doesn't make you sneeze even if you rub your face against it. Let your feet have the same privilege by adding one of their adorable slippers to your collection today! 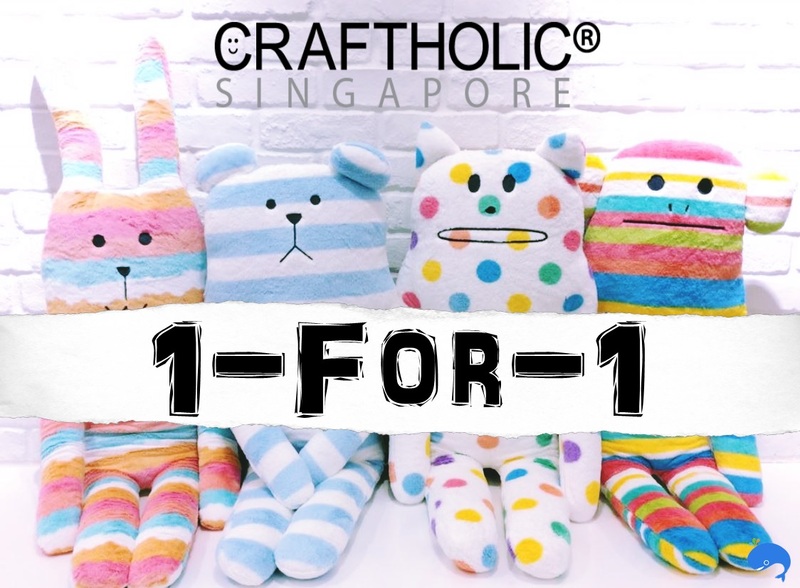 Craftholic slippers leading to the Great Singapore Sale. Each slippers currently retails for $26.